Far Eastern Federal University is a modern university with advanced infrastructure located in the Russky Island near Vladivostok. Oxana Blazhilina, Head of International Student Recruitment Department, tells in interview why a growing number of prospective students are coming here. - Oxana, how many international students are currently enrolled at FEFU? - In 2015/16 there were over 2500 foreigners in all FEFU programmes; now we have 3,000 students from 52 countries. Our plan is to increase the share of international students to 30% by 2020 (that would mean roughly 9,000 students). - Please describe the regions that are most important to you. - That would be Asia Pacific, that is where we mostly promote FEFU. Due to our location, we have very strong ties with China. Also – with Vietnam, South Korea, India, Indonesia and many other countries. Actually, we have a broad reach – our students represent 52 countries and five continents. - Where do most of your students come from? - The majority comes from non-FSU states, there are relatively few applications from the CIS countries, most of these originate in Uzbekistan. Most of our students come from China. We are also a common choice for kids from Vietnam, South Korea, India, Malaysia, Indonesia, Bangladesh, Mexico, Laos, Columbia, Ecuador, Peru and Bolivia. A growing number of students are coming from Latin America. This year we have admitted 70 students, while several years ago we only had 1 or 2 Spanish-speaking students. - How many state-sponsored spots did FEFU get this year? - In 2016, 108 international students claimed state-sponsored spots in Bachelor programs, 38 in Specialist ones, and 47 in Master and Post-graduate courses. Naturally, there were many applicants for these spots, particularly from China. - What do you do in order to attract international students? - We used to participate in education fairs, but now students prefer to learn everything online, so we decided to focus on Internet promotion. We publish updates on various education websites and advertise in social media. The response rate is high, we try to return all requests within the same working day. We also organize promotion tours every year. - What are they like? - We come to schools where Russian is taught, present the university, describe the programmes, explain why education in Russia is a safe and efficient choice, mention the high quality of training we provide. We work a lot with schoolchildren starting from the penultimate grade, invite them to join our summer school to check out the university and meet the faculty. Every August we run a three-week multidisciplinary summer school called Russia – Far East. We invite applications in April and May, announcements are published beforehand on the FEFU website. - Is there a schedule of your promo tours in 2017 already? - No exact dates are available yet, but we are planning to visit around twenty schools in China, several schools in South Korea, Indonesia and southern states of India. We also intend to deliver presentations in Vietnamese schools as part of the Russian Universities program organized by Rossotrudnichestvo. We also have 13 Russian language training centers in China. The kids who study there don’t have to join our university, so we meet them and tell about the advantages of studying at FEFU. We do everything we can to help them want to enter FEFU. - How can international students get in touch with you and ask questions? - There are numerous Internet channels available: email, Telegram, WhatsApp, Viber, WeChat, Facebook and others. Not all social media or applications are available in China, so Chinese applicants mostly use WeChat and Skype. Members of the International Student Recruitment Dept. consult all the applicants, help in finding required information and making important choices. - What kind of admission advice would you give prospective FEFU students from abroad? - Proper preparation of previous education documents is one of the key success factors – some documents need to be legalized or apostilled, translated into Russian and notarized. – Is there a preparatory department for international students at FEFU? – Yes, we offer foundation courses in four areas – Economics, Humanities, Engineering and Life Sciences. Once a prospective student chooses an area, he or she should submit an application to the Russian Language and Culture Center. An intensive Russian language training is, naturally, a part of every foundation course. – How well can international students master the language in a year? – The programme is designed to make sure most students succeed. There will certainly be differences. For instance, students from Africa and South America adapt quickly and will have great command of Russian in a year, while Chinese, Vietnamese or Laotians find it more difficult and require more time. Still, they all succeed in mastering the language, because nothing beats the passion for learning. – Do you offer standalone Russian language courses? – Yes, we offer courses of all levels from zero to advanced, durations range from one to ten months. To enroll, submit an application to the Russian Language and Culture Center. – Which disciplines are particularly popular with international students? – Management, Economics, Construction, Oil & Gas and Russian as a Foreign Language are the most popular ones. 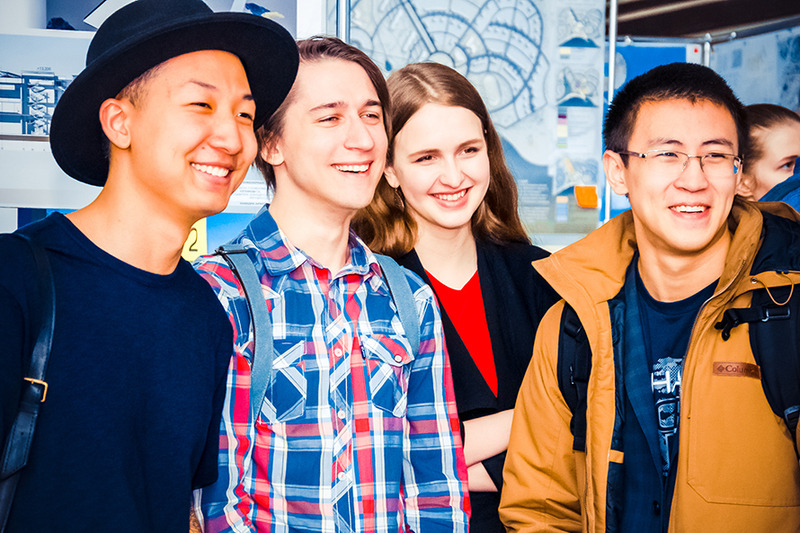 Many foreigners join the School of Biomedicine. The General Medicine course in English we have just launched proves to be very popular. We admitted 40 students with a high selectivity rate; most of them come from India, several – from Indonesia. – What Olympiads are open to international prospective students? – They can apply for the Ocean of Knowledge Olympiad. It consists of two stages – online (November-January) and on-site (March-April), in countries of students’ residence. We will organize the Olympiad in China, Vietnam, Mongolia, Kyrgyzstan and Uzbekistan in 2017. Winners and awardees of the Olympiad will get FEFU admission benefits (100 points in Russian tests and extra 5 points for other disciplines – Mathematics, Physics, Chemistry, Biology, Social Studies, History, Ecology, Literature or Geography). – What are FEFU’s advantages for international students? 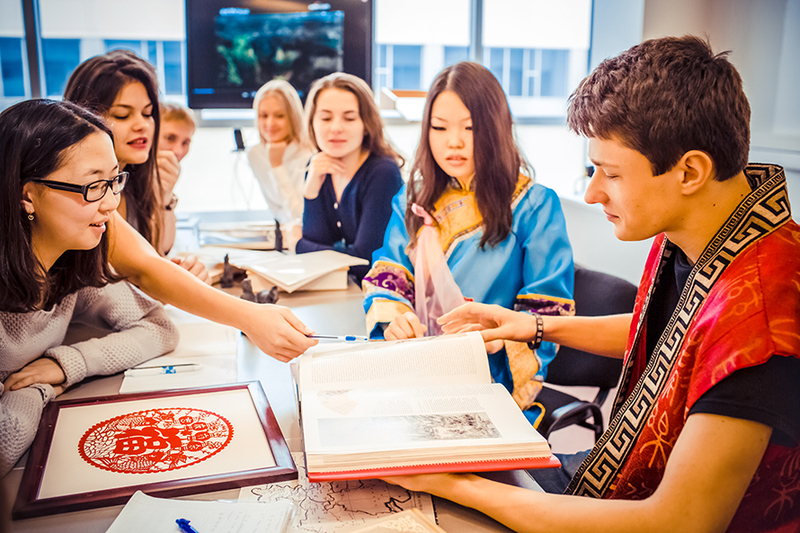 – FEFU is the best known education center in the Far East. We have numerous international students and programmes. 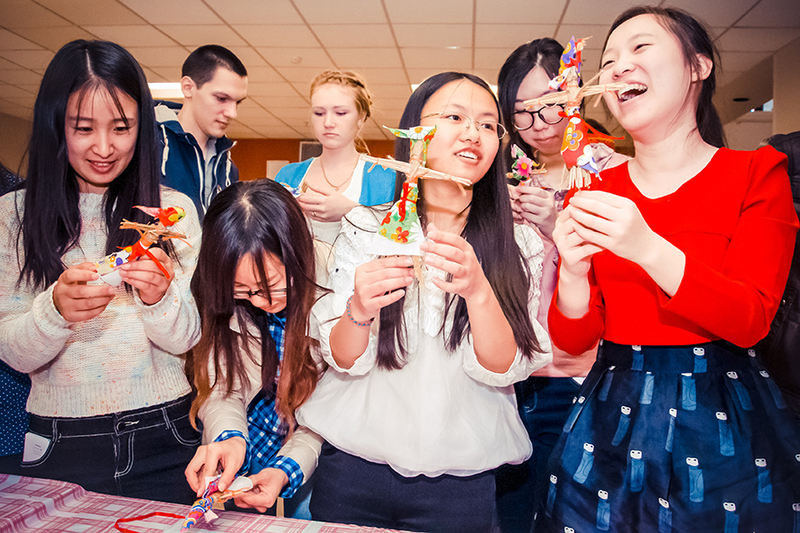 ARIS, Association of Russian and International Students, helps newcomers to adapt. We try to retain well-known scientists and faculty. For example, Nobel laureate Riccardo Valentini leads our Climate Research Lab, which searches for ways of leveraging regional climate changes to develop tourism, agriculture, etc. FEFU students can also engage in research, we have labs equipped with state-of-the-art equipment. – FEFU also has the most modern campus in Russia. Tell us about it, please. – That’s true, our new campus has everything to be considered one of the best campuses in Russia or even in the world. It is light, comfortable, spacious and safe. Most students stay in hotel-grade double rooms with bathrooms and WC. The rent rate of 3000 rubles ($45) per month includes regular cleaning, replacement of linen and wi-fi. Single rooms at 4500 rubles ($70) per month are available primarily to post-graduate students. 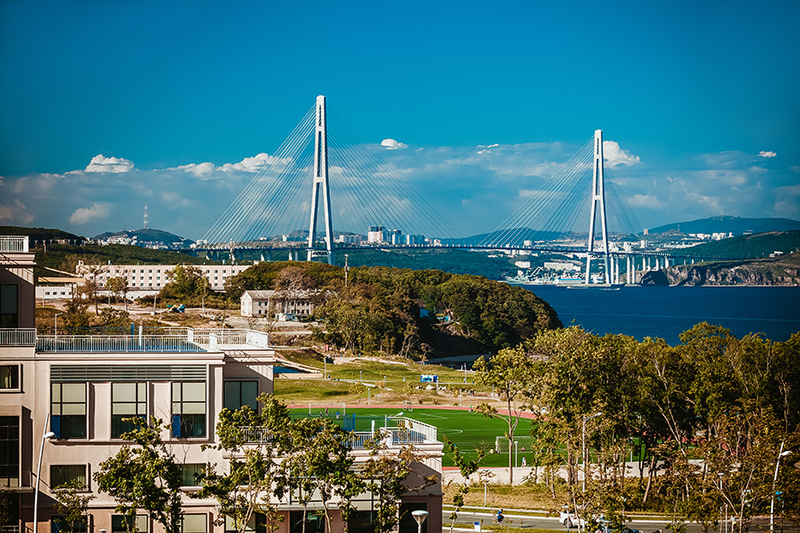 The campus is located in the Russky Island in Vladivostok, on the coast of the Pacific Ocean. It was the location of Vladivostok’s most popular beach. When the campus was built, we decided to open the premises to everybody. In bathing suit season lasting from June to September, you will see many people in swimsuits carrying swimming rings. Our students, if they stay for the summer, also enjoy sunbathing, swimming, riding bikes or hoverboards (both can be rented at the reception desk). – What else can students do in their spare time? – We have three covered pools, tennis courts, a stadium, race tracks, halls for team sports and gymnastics. There is a wide variety of courses available – from guitar lessons to dancing classes. 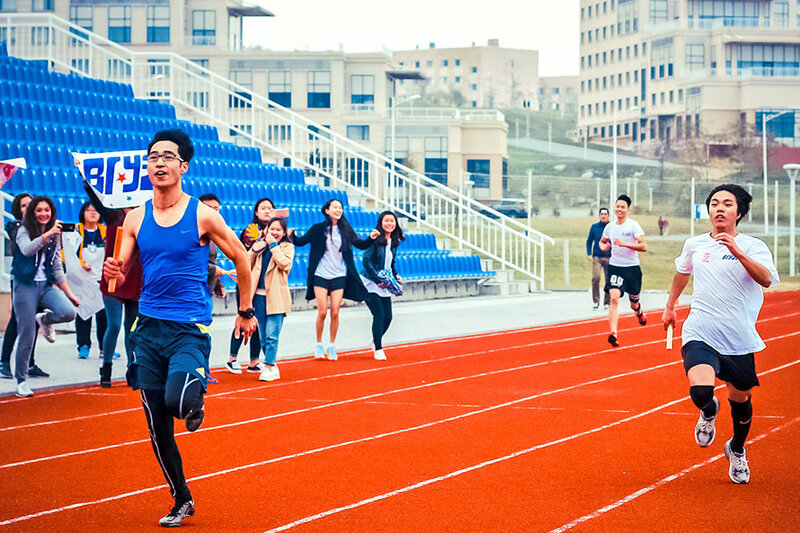 In short, FEFU students have many opportunities for both studies and leisure.